Hello everyone! The “What Floats Your Boat” photo contest has been extended! The extension is till September 16th 2016. You still have time to get your photos in. Yay!! So go out and show us what floats your boat! If you do not have a Flickr membership but wish to enter the contest, you may submit your photo/s to following e-mail address (email@brookhill-sl.com) and we will upload your materials to our Flickr page. Photo/s must be taken showing some type of boat on the water. Sailboat, motorboat, kayak,jet ski and wakeboarding are all fine. No rafts, floaties or inner tubes. Grand Prize : Ushuaia – A new modern cruise class sailboat from The Mesh Shop. Runner Up Prize : The Sea Boss Xtreme by The Mesh Shop – This jet ski is the new ultimate fun on the water. If you would like to see both prizes and try out the demo, you can find them at The Mesh Shop. All pictures will be evaluated by a jury whose decisions are final. 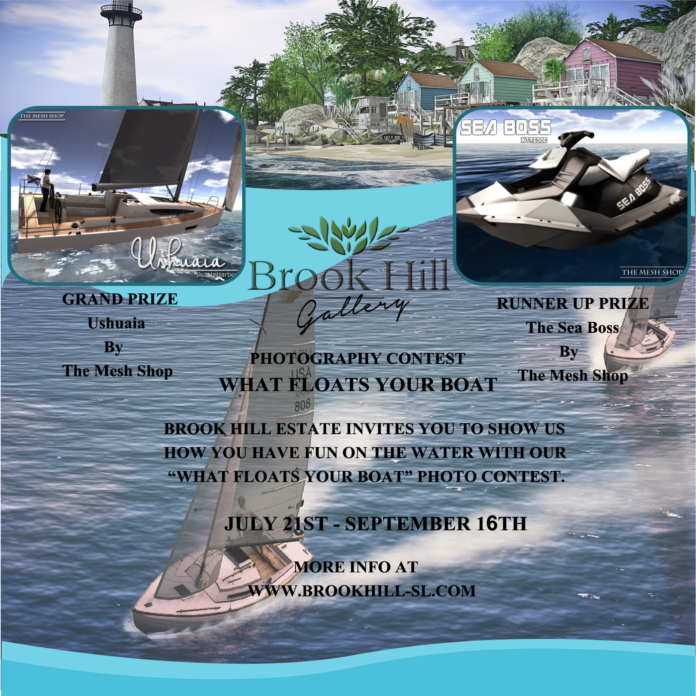 Brook Hill owners, staff, and employees are not eligible to win prizes. Artist, Director and Curator for Brook Hill Gallery. Oema Fine Art, Dexter Farslider at Brook Hill Gallery! 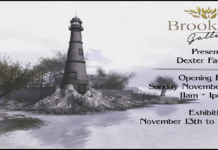 Brook Hill Gallery Presents Dexter Farslider! 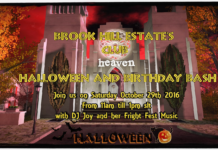 Brook Hill Halloween and Birthday Bash!